Fayetteville is blooming. Redbud shrubs have turned bright pink and purple. Dogwood trees are drooping with white flowers. New grass is popping up in the parks. 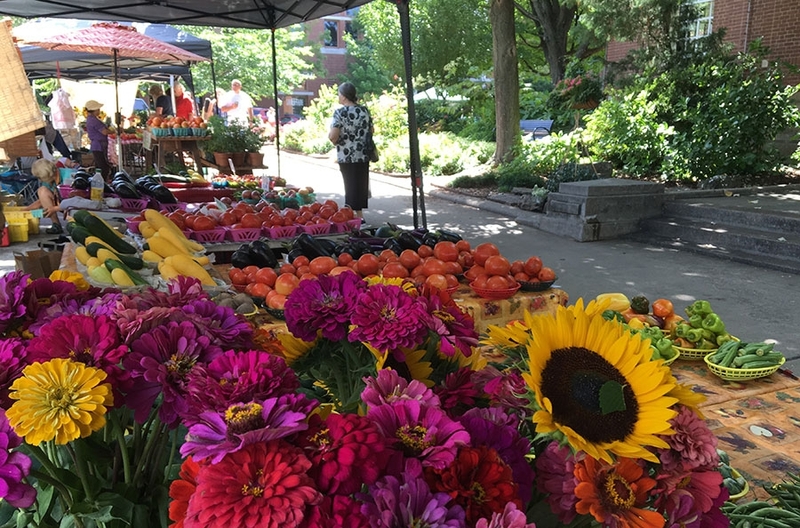 While the farmers market has returned to the historic square. Once you find out that the University of Arkansas’ graduation is this weekend (meaning the campus will empty out) and there’s an Ale Trail through the city, you’re ready to start planning your next trip to the Ozarks. Northwest Arkansas has become a surprising return destination for you. It was the Ozarks, the largest mountainous region between the Appalachian and Rocky Mountains, that first lured you to the area. You found scenic lookout points and rugged hiking trails, crystal lakes and hot springs close to the borders of Oklahoma and Missouri. You weren’t surprised to fall in love with them. But Fayetteville shocked you. This was an area that held onto slavery for much too long, and fierce battles ensued because of it. But today, Arkansas’ third-largest city is open-minded, artsy, and downright friendly. Most visits start with a history lesson. Historic buildings and one-way streets surround the Square. The Razorbacks’ campus on the Hill was established in 1871 and is now the largest university in the state. Fayetteville’s National and Confederate Cemeteries are on the outskirts of the city. While, in more recent history, the Clinton House Museum displays memorabilia from Bill’s early political career in the Clintons’ first home. From history you turn to art. The Walton Arts Center hosts Broadway productions, like Motown the Musical. TheatreSquared, a regional theater, is well-regarded around the country. Galleries and independent shops, as well as lots of bars and food trucks, line Dickson Street, a previously dilapidated area that was rejuvenated in the 1980s. While street art no longer points toward crime and neglect. Then there’s all the green space. The city has 35 parks and more than 50 miles of trails. 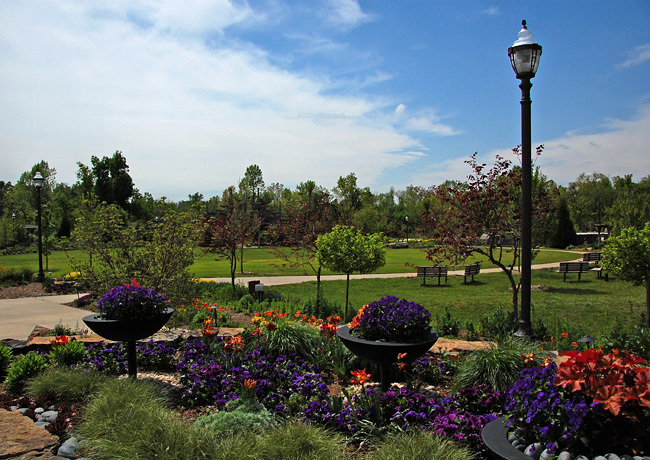 The Botanical Garden of the Ozarks is home to a Japanese Garden, the Ozarks Native Garden, and the Rock and Water Garden. The popular Scull Creek Trail crosses the creek and steel bridges down the center of the city. The Greenway, a 36-mile trail, connects Fayetteville to Lake Bella. You can rent bikes—or just hang out with coffee or beer, depending on the time of day—at the Handlebar. The self-guided Fayetteville Ale Trail connects 11 craft breweries. Plus Devil’s Den State Park, where you’ll find sandstone caves and lots of hiking tracks, is just south of the city. It’s no wonder Fayetteville is known as one of the best places to live, the best cities for businesses and careers, the best places to retire, and the best places to visit. So what’s your first stop? Burgers in the basement of Hugo’s, live music in the beer garden at George’s Majestic Lounge, or a tasting at Columbus House Brewery sound like a good place to start. Now that spring is in full bloom, who knows where you’ll end up.